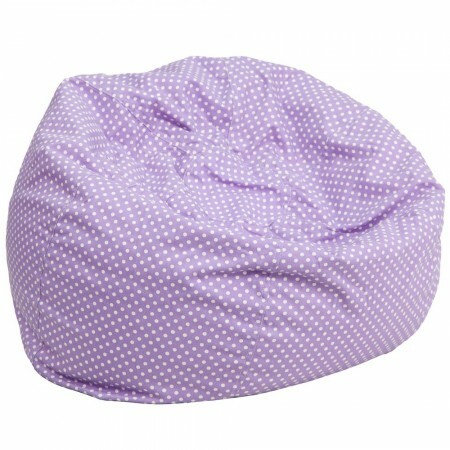 Relax and sink into the softness of the Flash Furniture Lavender Dot Oversized Bean Bag Chair after a busy day. This bean bag is filled with long-lasting beads that mold to your body's shape for ultimate support and has a safety metal zipper to keep the filling in place. Thanks to its cotton-twill upholstery, this bean bag chair combines style and exceptional softness while its lightweight design allows for portability. For added convenience, this oversized bean bag chair has a removable slip cover which can be machine washed or spot cleaned with a damp cloth. Overall size: 42" x 19"